The easy-to-use, no compromise compact 3D printer for everyone, from beginners to professionals. The compact 3D printer, MakerBot Replicator Mini+ combines with powerful workflow tools in order to streamline the 3D printing process. 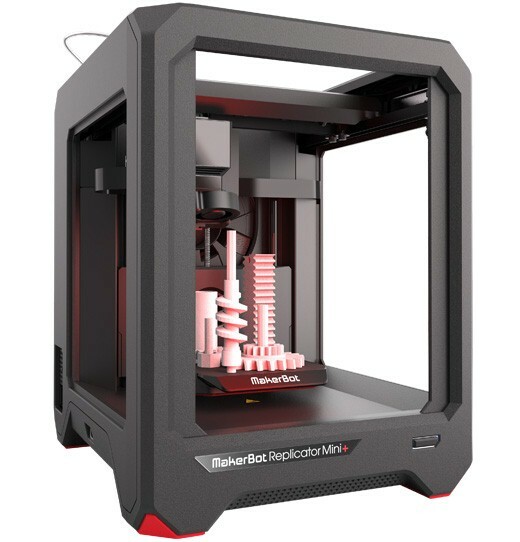 The MakerBot Replicator Mini+ is high on utility for being packed with easy to use features. It can be effortlessly managed by both beginners and professionals, who can easily save time and swift up the iteration by teaming it up with MakerBot Print software and MakerBot mobile. MakerBot Replicator Mini+ comes with various remarkable utilities and possibilities, such as the option to import Native CAD Files, and auto arrange them during print preparation, before they are finally printed on one or more printers. These 3D printers in Canada come at a budget-friendly price, making them the most apt option for 3D printing. What Makes MakerBot Replicator Mini+ The Most Apt 3D Printer In Canada? The brilliant features of MakerBot Replicator Mini+ ensures smooth and easy access to 3D printing. 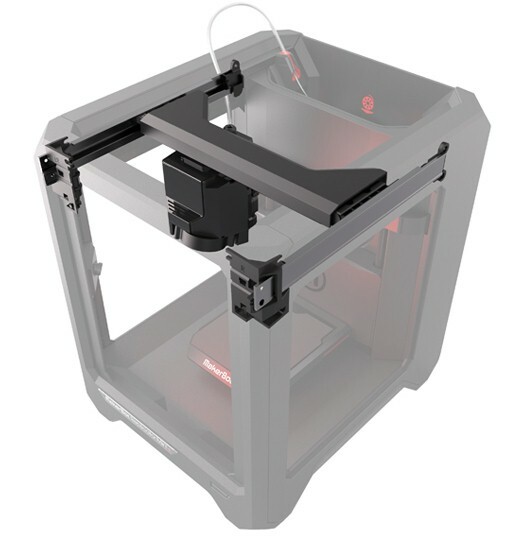 Along with being accompanied by Smart Extruder+, the MakerBot Replicator Mini+ comes packed with helpful standard features such as connectivity via USB Cable and WiFi, and an on-board camera. 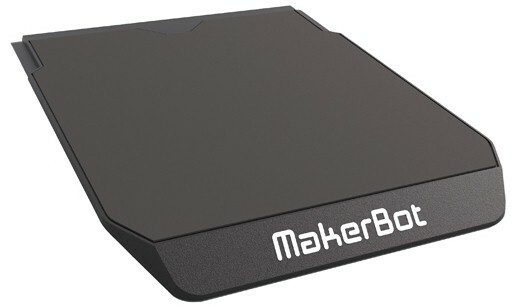 Making 3D printing easier and more accessible is the MakerBot mobile app which gets up and running in almost no time. 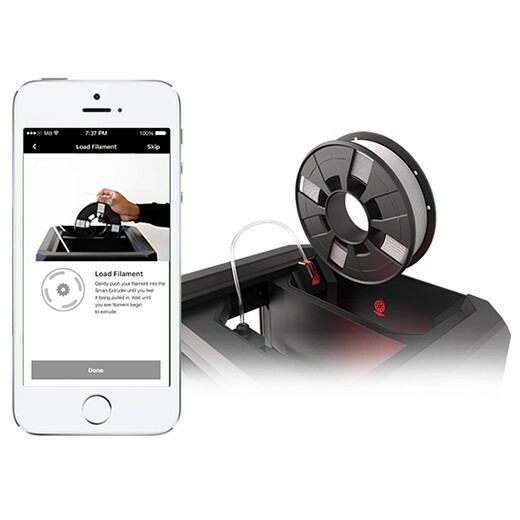 Its guided wireless setup through MakerBot mobile renders further ease in operations. Backing that up are more incredible features such as the on-board camera of 3D printer which aids in monitoring and controlling prints even while you are away. With the ability of printing up to ten percent faster than its predecessor, the MakerBot Replicator Mini+ offers about twenty-eight percent of larger build volume. On top of that, it features improved hardware, and a great example of that would be the redesigned Z-stage and refined gantry. Coming with the new grip surface, the MakerBot Replicator Mini+ offers better print adherence. This results in reduced curling and warping, with no blue tape. Further up, the build plate is factory leveled, thereby making it easier to operate. The MakerBot Replicator Mini+ is compatable with MakerBot PLA Filament that is safe for all – be it office, classroom, or home. This filament also makes it easy to print with outstanding results and minimal curling or warping, thereby providing highest quality as well as results.